The Cass County Sun (Vol. 141 No. 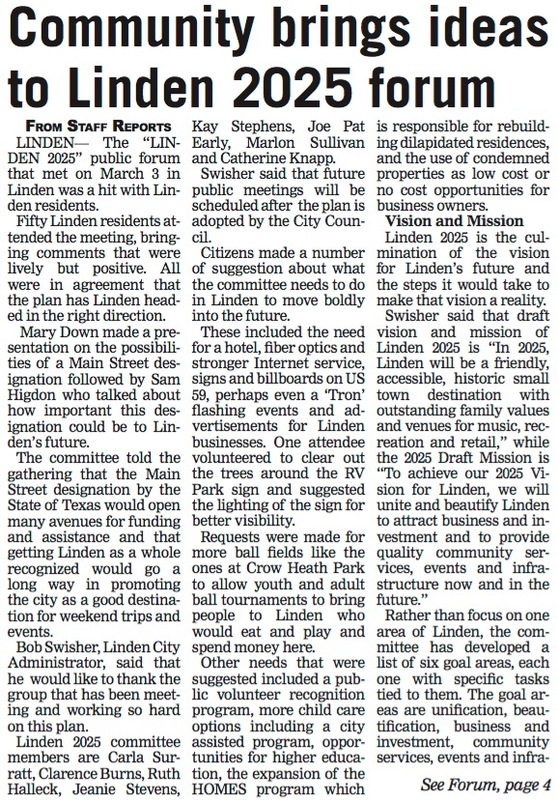 10) published an article on Linden 2025 in the March 9, 2016 edition of the paper. 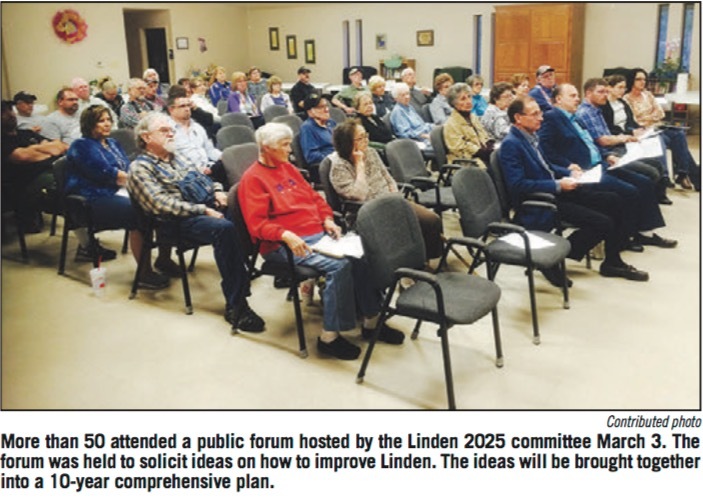 Sam Higdon, President of the Linden Heritage Foundation, spoke in support of the plan at a public forum held on March 3rd. 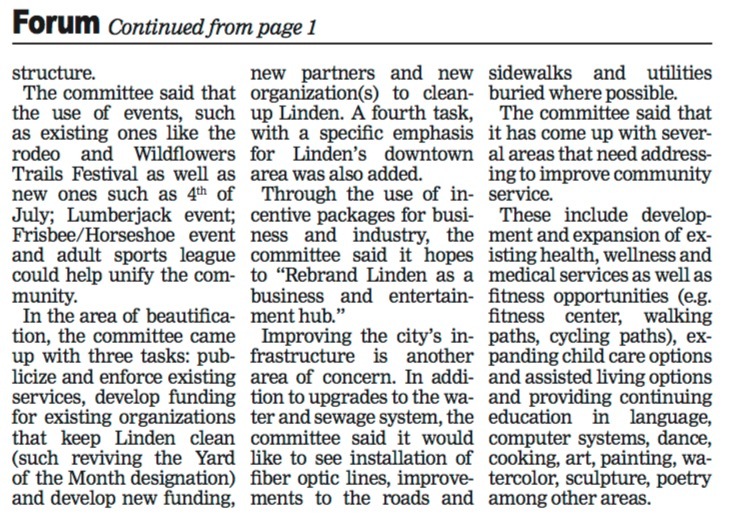 Ruth Halleck and Catherine Knapp officially represented the Foundation on the Linden 2025 Committee. Other members of the Foundation who served on the Committee were Carla Surratt, Jeanie Stevens, and Kay Stephens.